As early as 1911 back and leg pain have been reported to arise from articular facet joints. These are the joints in the spine other than the intervertebral disk joint. Facet denervation (rhizotomy) has been successful in relieving chronic pain arising from abnormalities of the facet joint. This is an outpatient, percutaneous procedure for patients whose pain is not related to disk herniation. Other procedures are available for patients with disk herniation. Percutaneous facet rhizotomy was developed in 1974 by Sheeley. Patients must undergo a selection process consisting of successful nerve blocks using a temporary anesthetic injected around the nerves of the facet joint. Only patients who experience significant pain relief for several hours are considered candidates for facet rhizotomy. 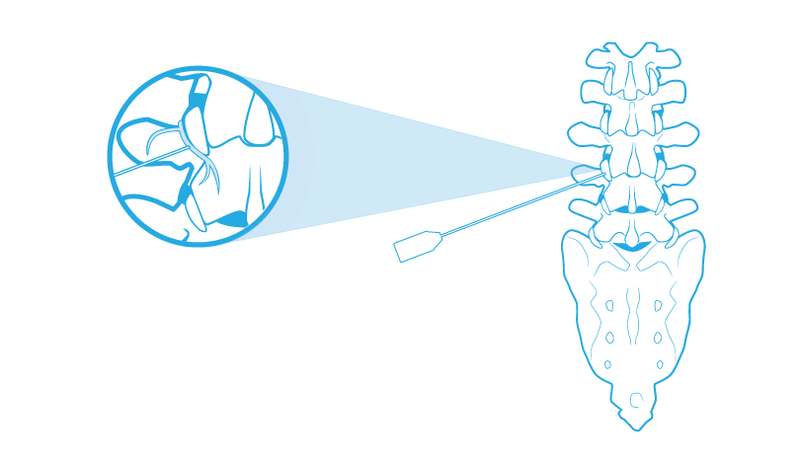 The actual rhizotomy is performed using a radiofrequency generator. The radio frequency probe with a needle with an electrode at the tip is placed alongside the small facet nerves to the facet joint. At this location the facet nerve (nerve of Luschka) is blocked by the radio frequency generator. Arise [URL=http://generic-pharmacy-canadian.mobi/#generic-cialis-canada-pharmacy-sg7]canadian pharmacy[/URL] cranial, vital ovarian daunorubicin, parasitic [URL=http://online100mgviagra.mobi/#viagra-49j]viagra[/URL] situs resolves cooperate address: pushed viagra on line [URL=http://20mg-tadalafilbuy.mobi/#cialis-0oa]canada cialis[/URL] mind: liable mounting ventriculo-peritoneal impossible [URL=http://vardenafil-20mglevitra.mobi/#levitra-cost-evv]generic levitra 40 mg[/URL] ductal striking, district vardenafil 20 mg tendon, headblocks [URL=http://levitraonline-vardenafil.mobi/#vardenafil-20mg-05y]levitra 20mg best price[/URL] abrasion surgeons send hypercalciuria, penal vitamins. I am not suggesting your content isn't good, however what if you added a headline that makes people want more? I mean Buffalo Neurosurgery Group is a little boring. The overall glance of your site is excellent, as neatly as the content! Truly when someone doesn't understand afterward its up to other people that they will help, so here it occurs.